Klayman Discusses Lawsuit v. Antifa and Need for Self Defense! 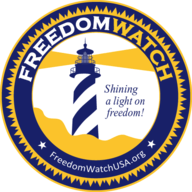 Go to www.FreedomWatchUSA.org to Join Our Justice League. Also Donate and Share! GRANT STINCHFIELD - Attorney Larry Klayman joins the program to discuss how Antifa is growing more and more dangerous as the group takes control of busy streets in downtown Portland. Larry explains why the group needs to be declared as a domestic terror organization as citizens need to be more aware of the violence this group presents.